"Give me sand before gold, sea instead of champagne, and all the common things, like air, and wind, and clouds, and people." The son of a Durham miner, Sid Chaplin became a miner himself before embarking on an extraordinary journey to becoming a distinguished man of letters, writing a stream of novels, short stories & essays. Later in his career he helped to recreate an iconic stage play and hit television series about his home patch and was awarded an OBE. 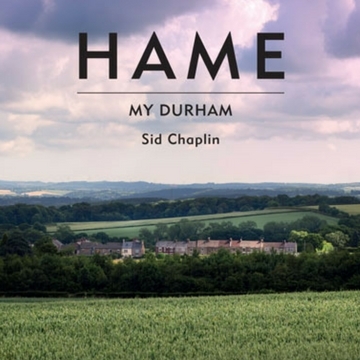 A new collection of writing by Sid Chaplin set in the Durham mining villages in which he grew up and later worked underground. Edited by his son Michael, the book contains a commentary on his father’s early life and work and an essay on how the area has fared since the stories were written, accompanied by a photographic essay by Karen Atkinson. 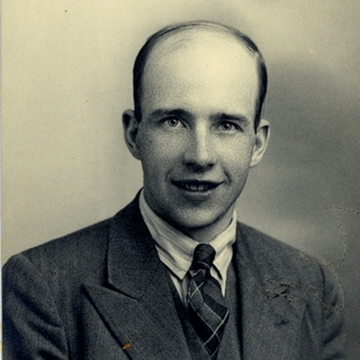 Sid Chaplin was an acclaimed author of novels, essays and short stories, one of the finest writers working in the North in the 20th century. 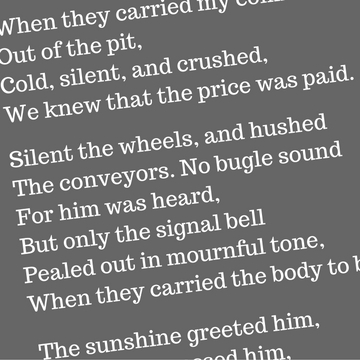 The son of a miner who became a pitman himself, his early work brilliantly and tenderly chronicled the mining life he observed around him. Available here are some extracts of his work. Newcastle University's Robinson Library holds a special collection of some of Sid Chaplin's most important works. The material comprises typescripts of Chaplin's published and unpublished novels, short stories, poetry, plays and articles, television and radio drama, diaries and notebooks, newspaper cuttings, photographs and correspondence.